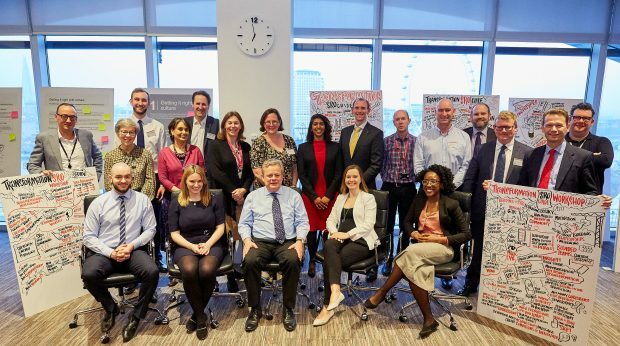 The Cross-Government Transformation Team are working in collaboration with PwC to develop an insight and thought leadership piece aimed at newly appointed Senior Responsible Owners (SROs). Our goal is to create a pocket book that speaks to SROs beyond their SRO letter and captures behavioural insights to help SROs move their performance from 'good to great'. In our recent independent research looking into the importance of people and culture in any transformation, unsurprisingly, we found that people and cultural issues represents the biggest underlying cause of major transformation programme failure at all stages of the programme lifecycle. We need to make sure we are learning the right lessons from previous projects - crucially, that behaviours and culture are more important than process. 20 Transformation SROs from across government came together for this interactive workshop. On Monday 8th April, over 20 senior leaders from across government and the wider public sector met to discuss the pocket book prototypes. 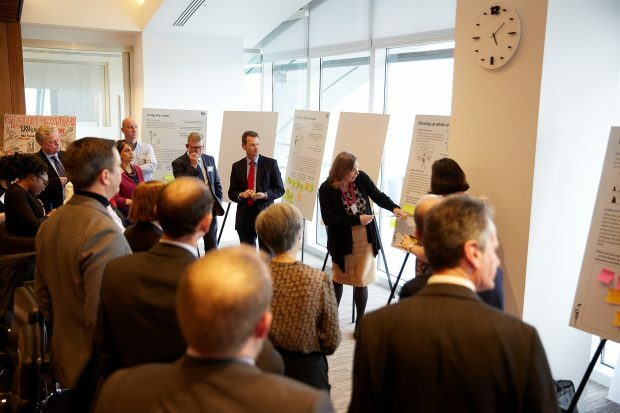 We were able to share critical behaviours in transformation leadership across departments, functions and sectors; co-create a product that will positively impact new SROs of Transformation Programmes; and set a catalyst for a new community of transformation SROs. The creative workshop included a cartoonist drawing the discussions live on poster boards and further engaging breakout discussions. We also heard from David Lancefield, a PwC Partner and experienced transformation leader, who provided insight into the challenges of transformation in the private sector. Sharing personal experiences and discussing practical applications of the new SRO guide. The workshop followed a process of face to face interviews and surveys with SROs across government. We have used their insights, alongside academic research and learnings from the private sector to develop a set of five behavioural themes for leaders of transformation, which are explored in the pocket book. We look forward to sharing the guide in May 2019.